Give guests a fun way to display their invite on the fridge, making the event easy to remember and fun to reserve! Make it easy for guests to store or display their family or class reunion invite with a sharp design that displays the details. I am using this as a family reunion invite and it looks amazing! I was very happy with my magnet. We're having a family reunion & this was more fun to send than just a flier or other paper invitation. 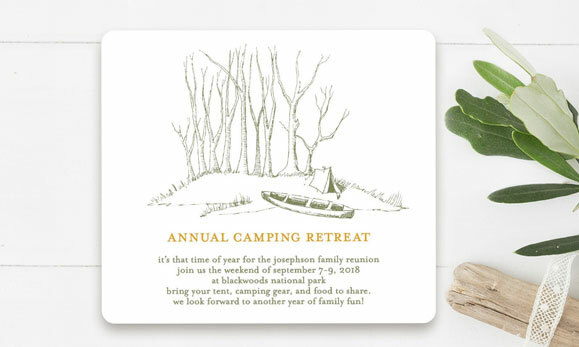 As you plan for an exciting day of reminiscing and catching up, get guests excited to attend by sending them a personalized Reunion Invitation! 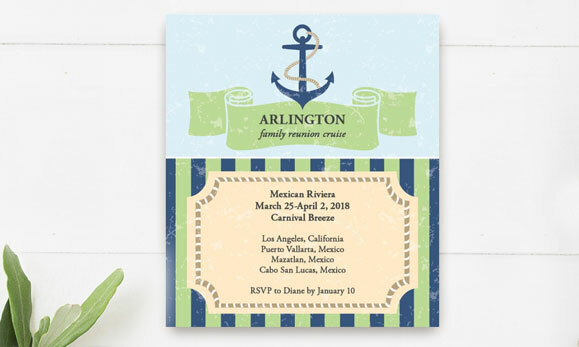 Whether it's for family or classmates, Reunion Invitations give guests near and far plenty of time to plan ahead for the reunion date. 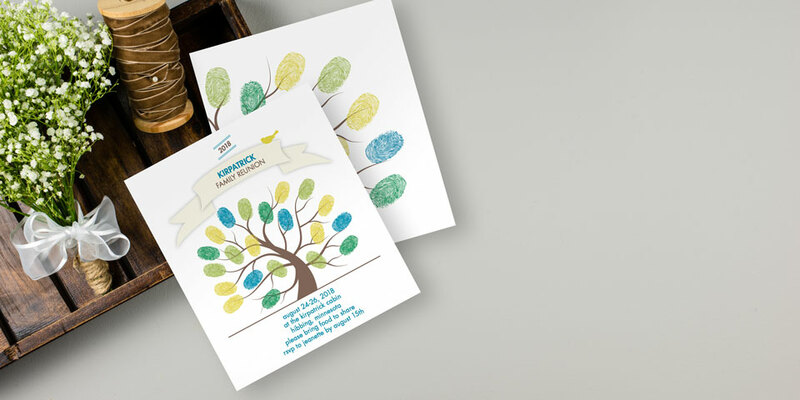 If you're planning the big event, make sure attendance is complete with an eye-catching, one-of- a-kind reunion invite that will get everyone excited to attend. Reunion Magnets are fun and easy to display on the fridge, while Reunion Cards make great additions to photo albums or scrapbooks. Personalize any Reunion design to match your class colors or family reunion theme. Reunions only come around so often, so make this a special one by sending a personalized reunion invite!